When we think of ‘Islamic art’, it is usually the classic trivium of calligraphy, Islimi (biomorphic design) and geometry that spring to mind. These are a visible response to the Prophetic statement ‘Allah is Beautiful and He loves beauty’. Love of beauty is so deeply ingrained into Muslim culture that we can find exquisite examples of architecture, tilework, marquetry, metalwork, jewellery, textiles, carpets, ceramics, carved plaster, and book art from every corner of the Muslim world. Whatever else is going on, it seems there is always someone making something beautiful! However, visual arts are only one half of the story. Literature, verbal compositions that can conjure up the wildest or subtlest of sensations, has generally not received the same nurturing attention in the Islamic world. While Rumi has become a household name in the West, Arabic literature is suffering from brain drain: Western-educated Arab writers now compose in English. From time immemorial, whether it be the Ilead or Gilgamesh, Sunjata or Mahabharata, Shahnameh or Mathnawi, epic poems or collections of poems have infused lives that might otherwise be confusing, dreary, or even tortuous with a sense of something greater, more beautiful, more extraordinary. They also shape a cultural identity and present the history, philosophy and perhaps even the soul of a people to outsiders. The codification of written Arabic as a means of preserving and disseminating the Qur’an enabled Arabic poetry, which had hitherto been entirely oral, to develop as a written art form. While the Qur’an is much more than poetry, there are elements to it that certainly influenced Arabic poetry, such as rhyme, rhythm and repetition (and deliberate interruptions to all of these). 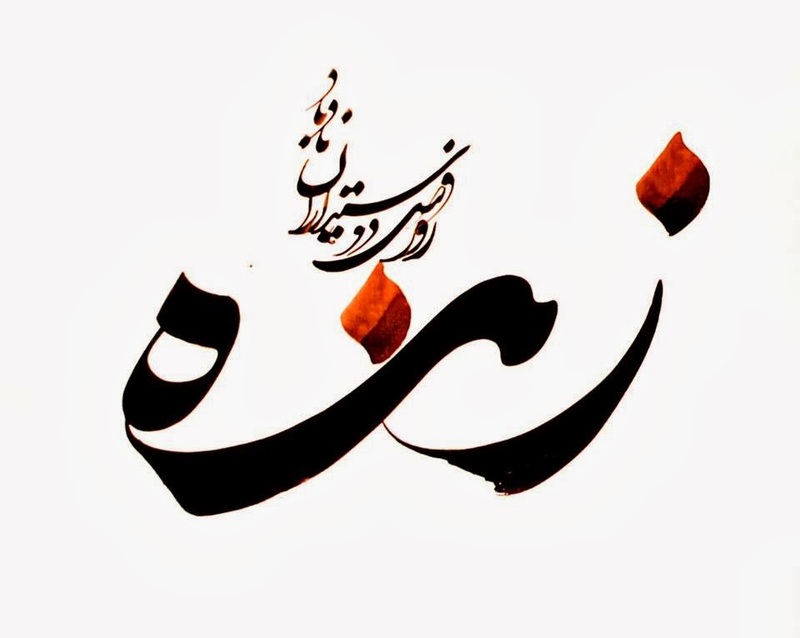 The mutability of Arabic makes for some wonderful word plays, phonetic cadences and semantic connections between words with the same letters in a different order. In the Prophet Muhammad’s own time, poetry was a great source of joy for people living a hard life in a hostile environment. Hasan bin Thabit was Muhammad’s (s.) favourite poet Companion, and he was known to say to him, ‘Hasan bin Thabit, say it again.’ Later, too, poetry was considered a vital part of a scholarly education, alongside such sciences as Qur’an, hadiths, jurisprudence, astronomy, logic, rhetoric, algebra and physics. A great many spiritual masters of the Islamic tradition have also been poets, channeling their glimpse of the Divine into something that can be a source of joy and inspiration to others for centuries to come. These include not only the ecstatic Persians Hafez, Rumi, Saadi, Jami, Ferdowsi and their kind, but also scholars such as Imam ash-Shafi’i, Imam Ghazali, Ibn ‘Arabi, and Dawud az-Zahiri. In Andalusia alone there were many poet-scholars, such as Ibn Abd-Rabbihi of Cordoba, Ibn Bajja of Zaragoza, and Ibn al-Faradi of Cordoba – and many more who focused on poetry alone. So why has Islamic poetry slumped in modern times? While the V&A in London hosts the Jameel Gallery, Doha, Qatar has the Museum of Islamic Art, and dozens of art galleries and private collectors deal in visual Islamic art, poetry is famously hard to make a living from. You can’t sell a poem for $10,000 to put on someone’s wall. It is a kind of folk art, designed to be memorised and passed on to others. The political decline of the Muslim world over the past 500 years or so has also certainly had a hand in our literary doldrums. While praise poets might have enjoyed the patronage of wealthy rulers in the past, now poets must offer their wares to the paying public – perhaps a healthier relationship in any case. Literary forms have also remained the same for centuries, encouraging poets to fixate on form instead of focusing on content. Yet creative writing, when done with the intention to honour the principle that ‘Allah is Beautiful and He loves beauty’, is just as much a sacred art as any other Islamic art. I would even argue that the process of delving into your heart and discovering what is there follows the advice that ‘He who knows himself knows his Lord’. Creativity is a much-needed vent for feelings that otherwise have nowhere to go, and when those feelings are beautiful, that is enough to create a work of beauty. At its best, it is a moment of union between the heart and the head, a reminder of how to live with compassion and awareness of all that passes through the caravanserai of the heart.